Bandra Fort or Castella de Aguada was built by the Portuguese in the 17th century to serve as a watchtower. 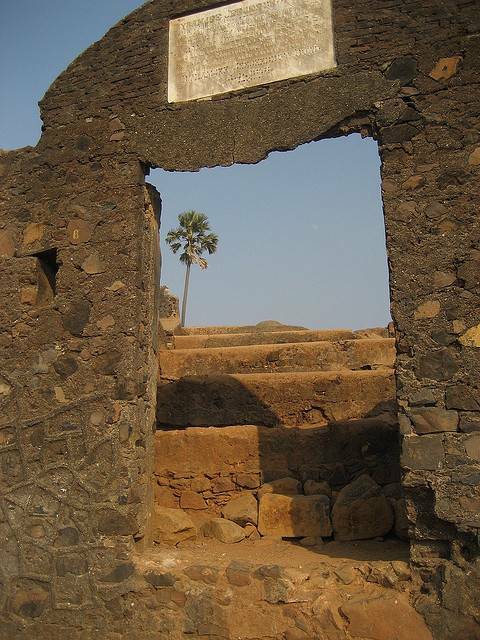 In order to prevent the fort from being used against the Britishers by the Marathas, a part of it was destroyed by them. Overlooking Arabian sea, Mahim bay and Worli islands, it is located at Land’s end in Bandra. Although the fort is in a dilapidated situation, it makes of a scenic spot with a picturesque view. Wide, clean and stoic, without any carvings or embellishments, the Bandra fort is the closest one can get to see the Bandra-Worli sea link. It’s a good place for a morning/afternoon stroll, though not recommended in the evening.